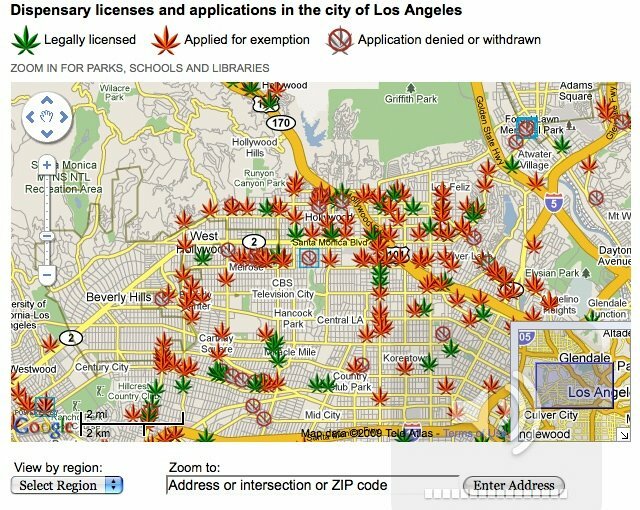 did you know that there are over 250 places in LA where you can legally buy medical marijuana? you do? ok then smarty pants do you know where they all are? thanks to our Cool Kids department who adore databases and google maps and strange trends, we now have the most accurate map of where all the dispensaries are.